Testosterone boosters are gaining popularity in and out of the health and fitness world. Low testosterone levels come with a host of symptoms which leave men feeling tired, weak, and with less muscle mass and a low libido. Testosterone levels naturally lower as men age, no wonder testosterone boosters are a go-to supplement for ageing men. The demand for testosterone boosters is ever on the rise, which has led to a multitude of products flooding the market. Each product claims to be the best and only way to get the desired results. This means that the search for the correct testosterone boosting supplement can be an intimidating and tiresome process. Do not let the overflow of testosterone boosters discourage you from giving them a go. This review of Testogen has been designed to help you separate the good products from the bad and will inform you of everything you need to know to choose the right testosterone booster for you. There are a lot of testosterone boosting supplements which claim to work wonders but a simple google search shows that there are so many scams online which have given testosterone boosters a bad reputation. In fact, there are probably more negative reviews on testosterone boosters than positive ones. This is because there are so many unnatural products which do not work and can result in adverse side effects. Many testosterone boosters are made using synthetic ingredients. These ingredients are unnatural and can be incredibly harmful to the body. The world today is becoming more and more health conscious and this has started a movement away from synthetic ingredients. I think everyone would agree that natural is superior because it has fewer health risks. Step 1 in finding a great testosterone booster is to search for natural testosterone boosters, and there are numerous natural products on the market which work really well. While there are countless natural testosterone boosters on the market, this review is going to focus on the reasons why Testogen is an excellent all-natural testosterone booster. Let us start from the outside. Testogen’s sleek design is incredibly visually appealing and definitely draws the attention of the target audience. It looks new and modern while maintaining simple and clear packaging. The look of this product works well because the client can identify the product and what it does within seconds of looking at the bottle. Long gone are the old-fashioned designs which are off-putting and best to be avoided. Testogen has broken this barrier and is hugely successful for it. Great product design is so important in terms of marketing and selling the product, but it is the way it works which will have people buying it over and over again. In order to evaluate the effectiveness of this product, we will have to take a deeper look into what is actually inside Testogen and why the ingredients are the go-to ingredients for so many natural testosterone boosters. D-aspartic acid (DAA) is a nonessential amino acid. Nonessential amino acids are amino acids which the body produces naturally. Even though the body produces D-aspartic acid, it only produces it in small amounts and supplementing with it results in many health benefits. The main role that D-aspartic acid plays in the body is regulating the production of hormones, therefore, DAA regulates testosterone production. This is especially important in ageing males. As men age, testosterone levels naturally decrease which is the reason why DAA is a great supplement. The increase in DAA gives the body exactly what it needs to get the testosterone levels up and firing again. DAA is an ideal supplement for athletes and men over the age of 30. Its positive effect of increasing testosterone levels makes it clear why DAA is a key ingredient in many all-natural testosterone boosters. Supplementing with DAA to increase testosterone levels will result in more lean muscle mass, a higher sperm count, and more energy in individuals who suffer from low testosterone. Tribulus Terrestris may sound like a spell out of Harry Potter, but it is actually a plant and its extract is used as a natural testosterone booster. Tribulus Terrestris touts benefits such as increased libido and maintenance of hormone levels. Tribulus Terrestris not only maintains hormone levels, but it also plays an important role in returning out of balance hormones to normal. The regulation of hormones also has added benefits which include relieving symptoms of depression and aids in controlling mood swings. While the studies of the effect Tribulus Terrestris has on humans is limited, the tests performed on rats showed a significant increase in testosterone levels. Ginseng is one of the most well-researched herbs and men around the world swear by its effectiveness. Ginseng is known for increasing the libido and combats erectile dysfunction. An erection naturally increases the testosterone levels in a man’s body. Therefore, ginseng has an indirect, yet significant, effect on testosterone levels. Ginseng relieves symptoms of low testosterone levels and aids in the production of testosterone. 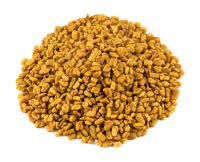 Fenugreek is a seed which is commonly used in cooking. Studies have been performed which revealed fenugreek's ability to maintain healthy testosterone levels. 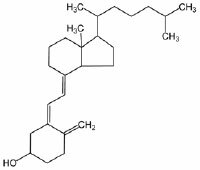 Men who have taken fenugreek extract have reported that it improves their libido and they reported that they had more muscle mass and felt stronger overall. Fenugreek is most effective when taken in combination with a mineral like Zinc. On the contrary, zinc can be taken as a supplement on its own to improve testosterone levels and sperm count. Zinc is particularly effective in increasing testosterone levels in individuals who are deficient in zinc. Vitamin B6 is directly linked to testosterone levels in two ways. Research has proven that vitamin B6 is an essential vitamin when it comes to the binding and activation of the testosterone hormone. 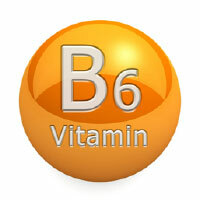 Vitamin B6 plays a vital role in the breakdown and protein synthesis of numerous proteins and amino acids. The vitamin activates the cell receptors which are responsible for the absorption of these proteins, amino acids, and the testosterone hormone. This means that low B6 levels inhibit the absorption of testosterone, which results in the body becoming deficient in the hormone. An increase in B6 levels allows for the body to benefit from all of the testosterone available in the system. Vitamin B6 is also directly related to the synthesis of testosterone and low vitamin B6 levels show a direct link to a drop of testosterone levels. Vitamin B2 deficiency leads to many symptoms of low testosterone levels which includes fatigue, loss of libido, and deterioration of general health. Vitamin B2 is directly linked to the production of testosterone because it is an essential nutrient required to produce the hormone. Vitamin B2 is responsible for converting testosterone into a more potent androgen which is known as dihydrotestosterone (DHT). This hormone is of vital importance for keeping the male body functioning at its prime level at all times – no wonder this vitamin is popular in natural testosterone boosters. Vitamin B5 has a less direct effect on testosterone levels but, nevertheless, it plays a pivotal role in sparking the production of testosterone levels. The secret is in the fact that vitamin B5 is a key element in the production of red blood cells. Red blood cells are responsible for carrying oxygen through the body and the more red blood cells in the body, the more oxygen the cells receive. When there is more oxygen available in the body, the individual is able to train harder for longer. Training naturally increases the testosterone levels in the body and the harder you train; the more testosterone is produced. This is a win-win because being able to train harder and increasing testosterone levels both result in more muscle mass and strength. 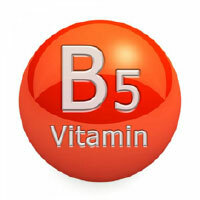 Supplementing with vitamin B5 will help you to see results in the gym much faster. Vitamin D3 slows down the process of testosterone being converted into oestrogen. This results in more testosterone being available in the system at a specific point in time. This property is great when used in combination with other testosterone producing ingredients because it allows the body to benefit from the extra testosterone for longer. All of these ingredients are 100% natural ingredients that are guaranteed to increase testosterone levels in the body and rid an individual of any symptoms linked to low testosterone levels. Testogen contains all of the right ingredients in the right amounts to boost testosterone levels in a natural way – stay away from synthetic products and boost your testosterone the safe way. It is clear to see that each and every ingredient of Testogen has been carefully selected in order to increase the production of testosterone and allows for the body to absorb as much testosterone as it can, which has resulted in an excellent product which is well worth your money. Catherine Grant is an Editor-in-Chief of America’s best bodybuilding supplements website - singlecausesinglecure.org. She is a health and fitness enthusiast. She has written health and fitness related articles for numerous reputable sites like Huffpost, EvanCarmichael, MasterHerald, Get-a-Wingman, Lifehack etc... She is passionate about helping others reach their health goals by sharing her own personal experiences.